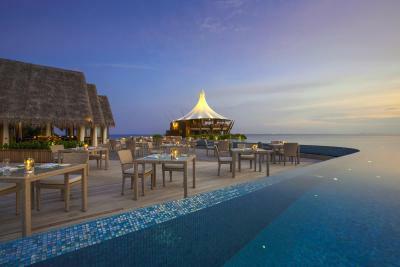 Lock in a great price for Baros Maldives – rated 9.4 by recent guests! Location and friendly staff specially Azzam, he was on top of everything i request. Great location and very nearby male airport. Excellent service. 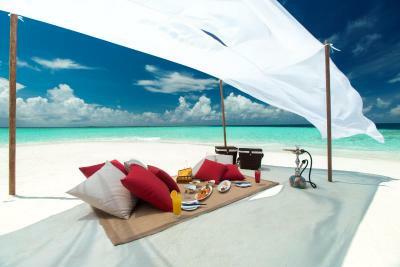 Simply a paradise. Excellent location. Perfect place if you need peace and a break. Amazing staff especially Nasfaan who took care of us so well. Staff were more than willing to please every guest. Everything! It is a piece of heaven on Earth! 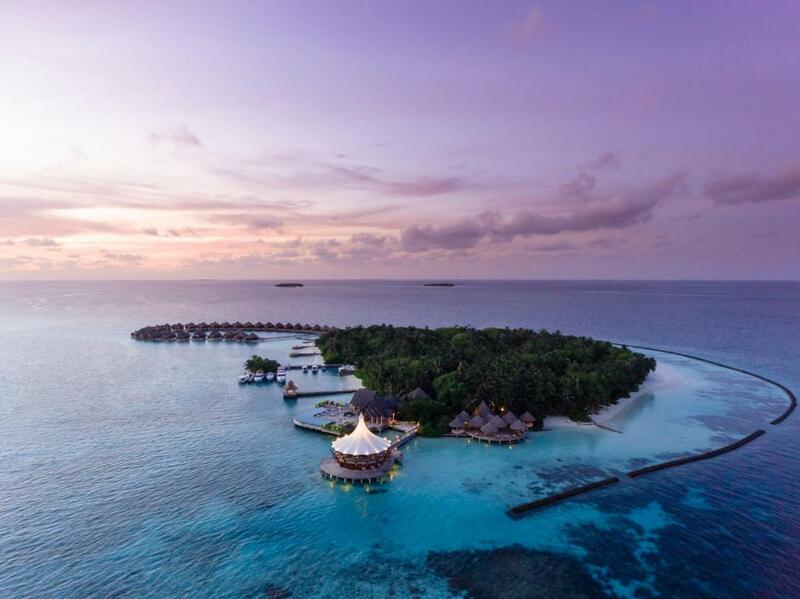 The island is beautiful and very well maintained; the rooms are very clean snd comfortable; we stayed in water villa and Baros residence and both experiences were amazing. The staff is very kind and helpful and our villa host Azzam was always careful with attending all our needs and making our stay unforgettable. The restaurants are also very nice, food is amazing, the views unbeatable. There is nothing we could complain about, we’ll definitely consider coming back. Second visit to Baros. Very quite the time i was there mid April/May. Very helpful staff. The food at all their restaurants is fantastic. 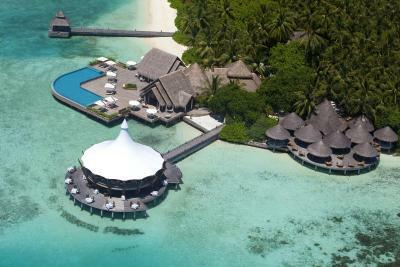 The service is excellent everywhere you go on their resort island, staff always smiling to the guests. The property grounds are constantly being maintained. The ocean veiw room is fantastic with a very privet pool and excellent sea view. The food is amazing. 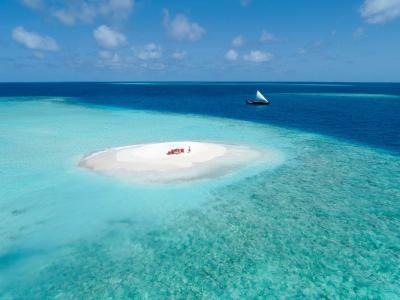 The island is very small and that what makes it very relaxing and romantic. 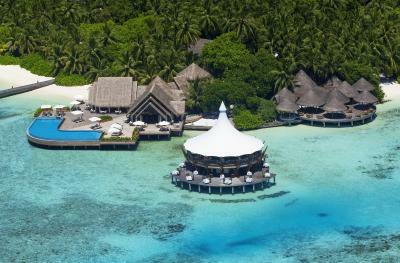 Baros Maldives This rating is a reflection of how the property compares to the industry standard when it comes to price, facilities and services available. It's based on a self-evaluation by the property. Use this rating to help choose your stay! 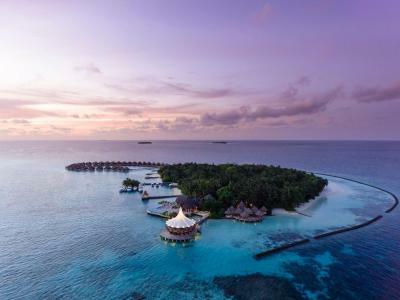 Baros Maldives is a small island close to Male’ city set in a turquoise lagoon with villas secluded in palm-shaded glades by a white sandy beach or perched over-water with private sun deck. 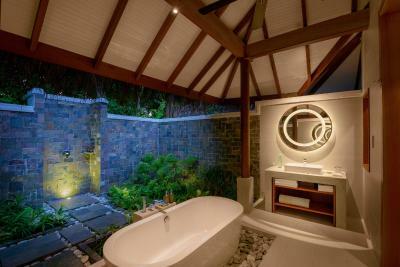 Many of the elegant, sandstone and timber, palm-thatched villas have their own plunge pool and some have a spa bath too. Every villa is private, has an espresso machine and a wine and mini-bar; in-villa entertainment includes a flat-screen TV and iPod dock. 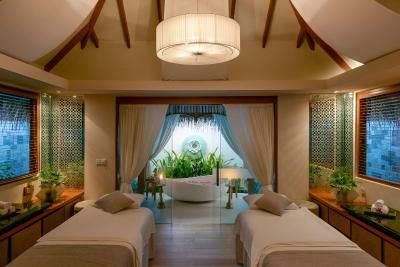 Guests can pamper themselves at the Spa or take a dip in the overwater infinity pool. Water sports and yoga are available; the resort also has a library lounge and free in-room WiFi. A Villa Host is on call around the clock providing a discreet, personalized service making every stay hassle-free. 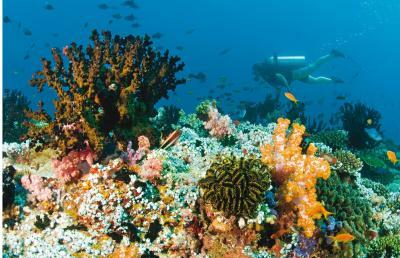 The resort has both an EcoDive and a Marine Center. 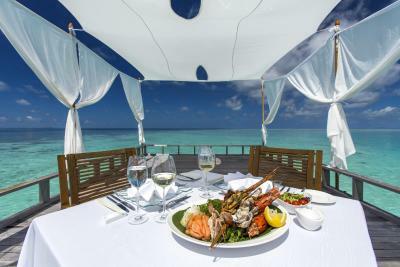 Three restaurants cater for fine dining, sea-food and Asian delicacies and private dining can be arranged in-villa, on an isolated sandbank or on a deck over the lagoon. 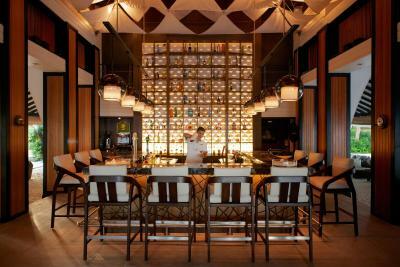 The Sails Bar serves drinks all day under the palms and there is a sea-view evening cocktail and cigar lounge. Room service is available for 24-hour. 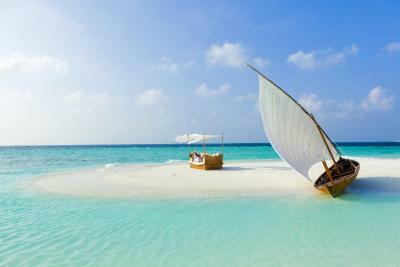 Baros Maldives is a 25-minute speedboat ride from Male International Airport. Airport transfer is available at a charge. 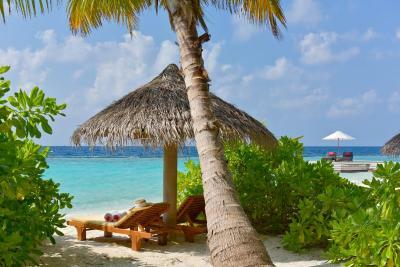 This property also has one of the top-rated locations in North Male Atoll! Guests are happier about it compared to other properties in the area. This property is also rated for the best value in North Male Atoll! Guests are getting more for their money when compared to other properties in this city. 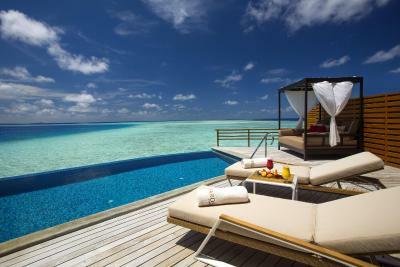 When would you like to stay at Baros Maldives? Daily breakfast in Lime, our all day dining restaurant. Champagne & Fruit basket in the room, upon arrival. 24 hours wireless internet in the room. Marine Biology presentation on Monday or Friday. Baros Nature Walk on Sunday or Thursday. The turquoise of your plunge pool blends with the blues of our lagoon. Behind the daybed on your sun-soaked veranda, a stairway descends to crystal-clear waters, the house reef ready and waiting for exploration. Tucked away in natural jungle, leaves rustling overhead, Baros Villas let you enjoy ocean views from the cooling shade of your beachside deck. Views over brilliant blue seas, a beachfront garden deck at our Baros Premium Pool Villas are indulgent, beautiful retreats. 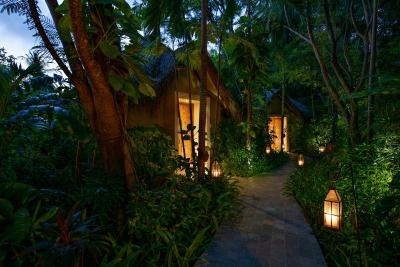 It has a spa bath and infinity pool off the deck, hidden in tropical foliage, with sun loungers and a canopied daybed where you can relax for hours on end. 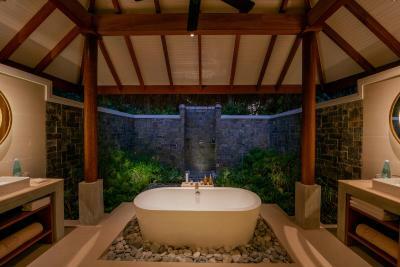 The singular Baros Residence invites you into a secret world. 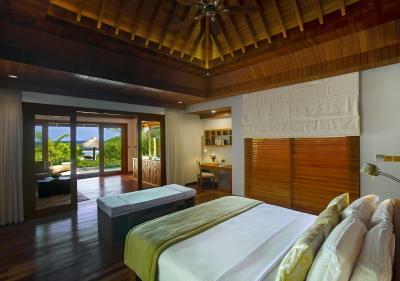 You've got your own stretch of Baros beach out front, and a wide timber deck where you can relax in total privacy. The trees of our towering canopy lean over your patio, providing a shaded retreat. 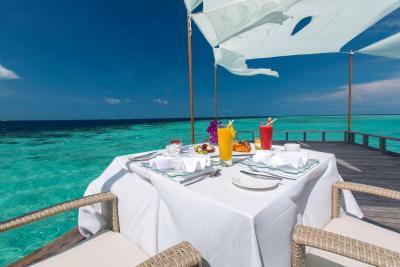 One romantic Piano Deck breakfast per stay (minimum 5 nights required). Daily Sunset canapÃ©s on your deck. Welcome amenity box, bottle of Champagne and fruit basket on arrival. Return airport transfers upgraded to a Luxury Speedboat, on a private basis. Invitation to the Business Class Lounge at MLE International upon departure (if required). Laundry services, excluding dry cleaning. This villa has a balcony, electric kettle and oven. 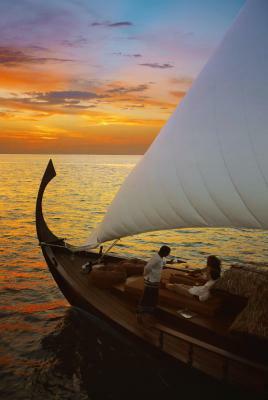 Being one of the first resorts in the Maldives, we have evolved over time including a major refurbishment in 2005. We have now become a true legend and stand out as the essence of the Maldives, combining understated luxury with personalized service. 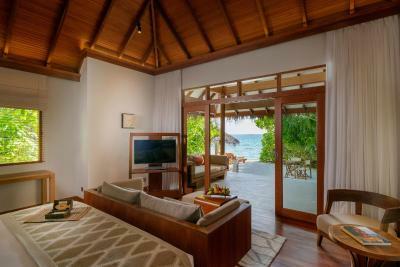 House Rules Baros Maldives takes special requests – add in the next step! Children 8 and older are allowed at this resort. 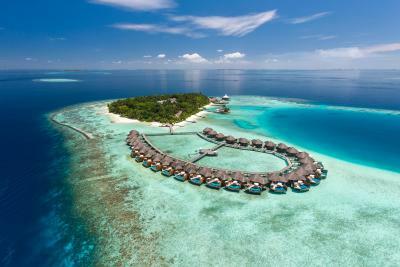 Baros Maldives accepts these cards and reserves the right to temporarily hold an amount prior to arrival. Guests must provide their return flight information at least 24 hours prior to arrival. A compulsory Green tax of USD 6 per adult & child and night is applied. Upon check-in or making payment at the establishment, it is necessary to present the credit card used to guarantee the reservation. The establishment may contact the cardholder to verify the information provided. For reasons of security and privacy, it is forbidden to use drones and unmanned aerial devices (including those for model airplanes), both for amateurs and for recreational purposes. A bottle of sparkling wine, premium chocolates in the villa, Candlelit Dinner by the Beach (Exclude Beverages), One Honeymoon photo in Baros Photo frame, Bed decoration during turn down service. Upon check-in, it will be necessary to present the marriage certificate valid for six months. 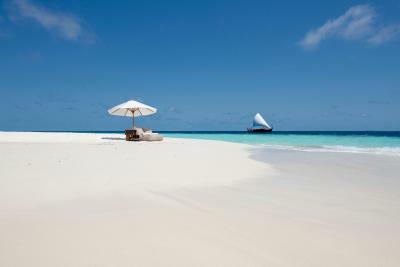 Please inform Baros Maldives in advance of your expected arrival time. 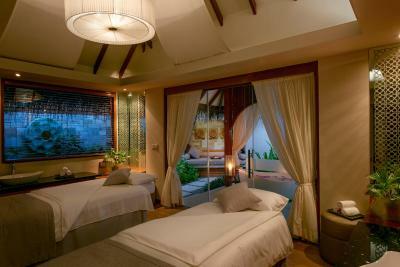 For this, you can use the special requests section when making the reservation or contact the accommodations directly. The contact details appear on the booking confirmation. My butler Moosa is very helpful. He arranged us some activities fishing, dolphins seeing and visiting sandbank with great care and planning. Italian food is good and delicious. The view with private pool is beyond words. A fantastic trip with an excellent hotel and service. We had an amazing relaxing beach vacation. Staffs were friendly and kind, food was delicious, and the beach was beautiful with lots of fishes. Not much, but it is very expensive once you are there, maybe a bit more than I expected. Spa was amazing but services can be priced a bit lower. Can’t describe how much we enjoyed our short 2 day stay. 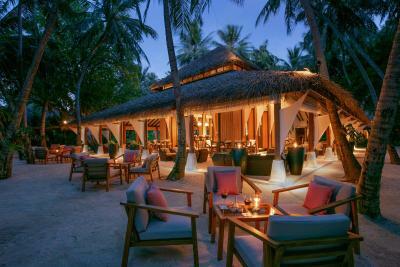 Maldives is just awesome and Baros is one of the best places to stay in Maldives because of the exceptional work by the entire resort team. Would have been nice to have some additional complementary tours in particular the house reef tours. Not a fault of the resort but it was very sad to see how largely affected the Maldives was by the coral bleaching two years ago. Coral was fairly dead but still saw plenty. Very friendly and personal staff. Amazing rooms and very comfortable bed. Great inclusive breakfast. Wifi was fast which normally you wouldn't need in this beautiful place but we had a week of bad weather so Netflix helped. House reef has local turtles and sharks which aren't as scared as usual so was nice to get a bit closer than normal. Saw black, white tip and nurse sharks on the house reef. Black spotted eagle rays and plenty of turtles as well as many fish. The place is amazing and everything was perfect, really. 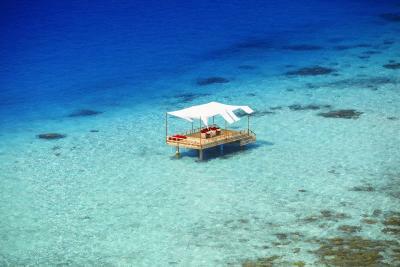 The service is outstanding and the house coral reef is the real bonus of Baros. 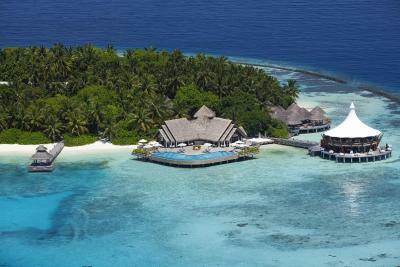 I doubt there's any other hotel, in any of the islands in the Maldives, that has a private house reef with so much to see! 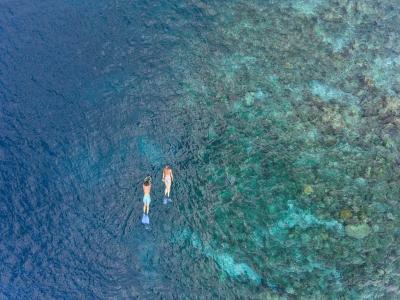 If you like snorkeling, that's your hotel. Lots of fish and coral, the clearest waters, turtles and the most amazing reef sharks (don't worry, they are not dangerous).